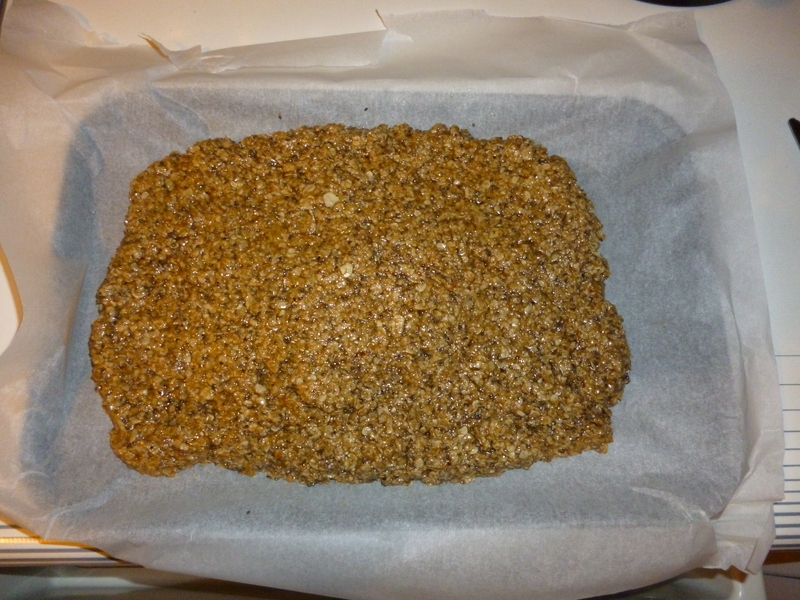 As promised in my review of the NDW50 I am going to post the recipe for the flapjacks that I consumed throughout the day, as well as the nutritional information for them. In a one-ounce (28 g) sample, dried chia seeds contain 9% of the Daily Value for protein (4g), 13% fat (9g) (57% of which is ALA) and 42% dietary fiber (11g), based on a daily intake of 2000 calories. The seeds also contain the essential minerals phosphorus, manganese, calcium, potassium and sodium in amounts comparable to other edible seeds, such as flax or sesame. Preheat the oven to 180c, fan 160c, gas 4. Line a 16x25cm tin with grease proof paper. 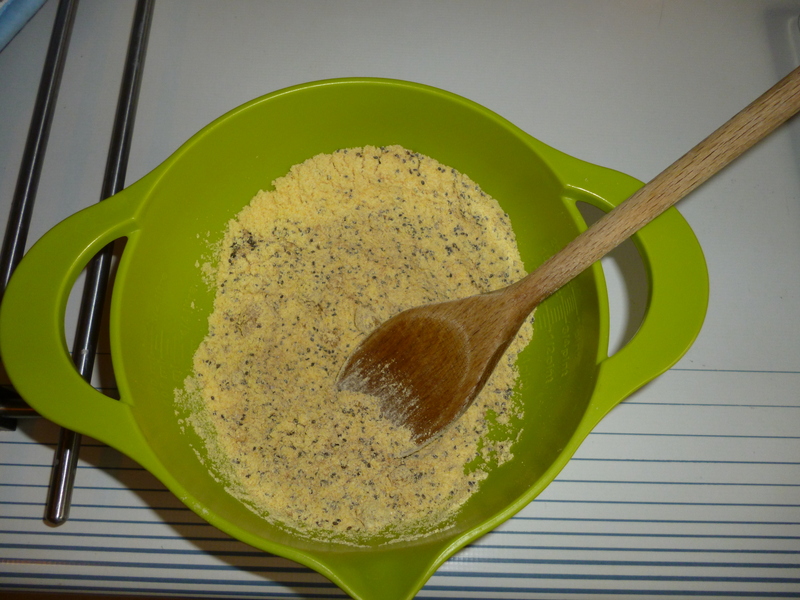 Melt the 200g butter in a pan over a medium heat. Stir in the Golden Syrup and Honey and the 150g sugar, and simmer until mostly dissolved. Remove the pan from the heat and stir in the oats, Chia seeds and add the cinnamon. Spoon into the tin and bake, I checked the flapjacks after 10 minutes and left them for a further 5 making a total of 15 minutes. I found that having some ‘real food’ (not gels etc) really helped keep my stomach settled and my energy levels up, so I would recommend giving them a go, even if you don’t use them on a run, bake them anyway they taste great!! If anyone reading has any other recipes that they have for running foods feel free to leave in the comments box, I am always looking for new things to try out. 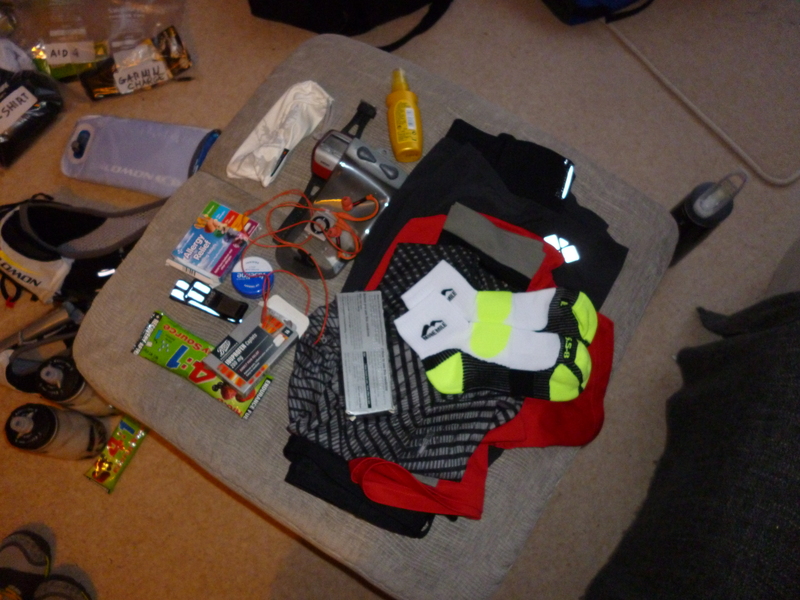 Well its been a fairly relaxed day, getting my last bits and pieces together for the Ultra tomorrow. 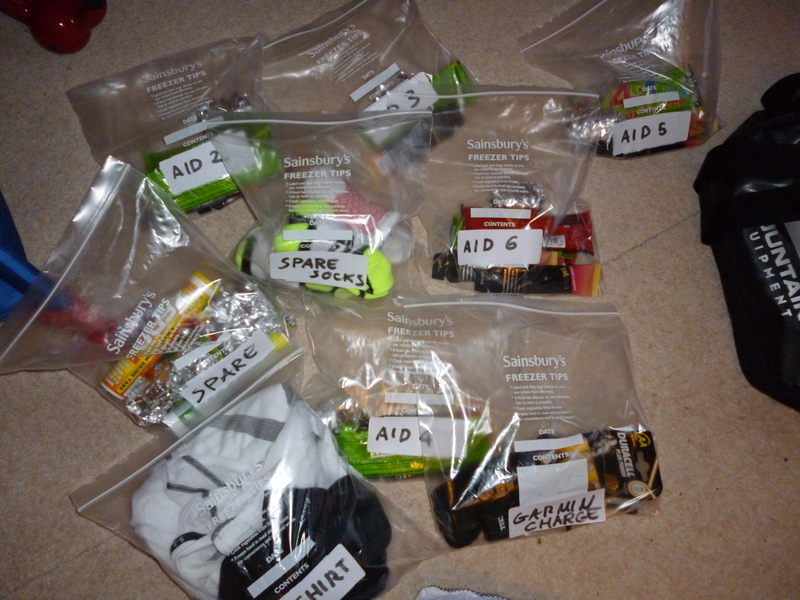 I have bagged up all my nutrition into separate bags for each aid station, labelled them so and will be giving these to Gareth tomorrow who is kindly being my crew for the day. However, in the grand scheme of things, if this is the worst that happens then I can live with it. 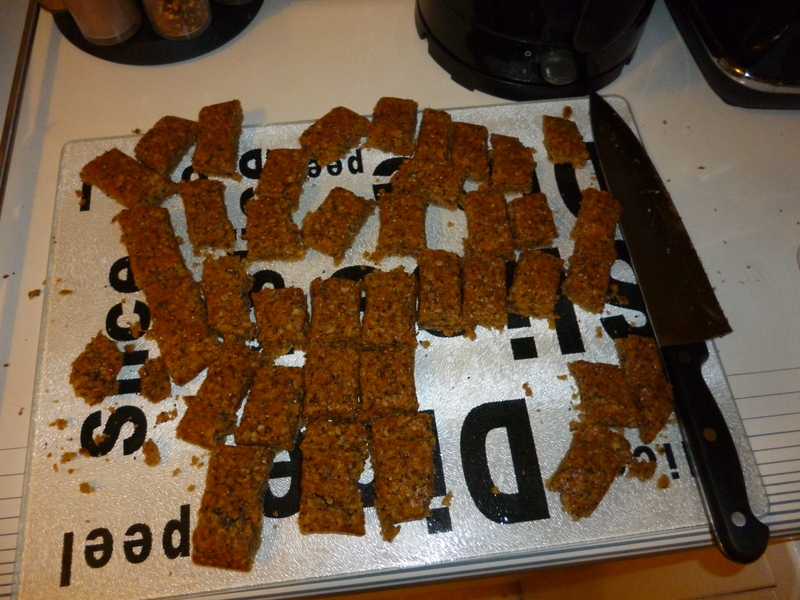 Right now for some sleep…….A full race review will be out on Sunday or Monday, as well as a recipe for the Chia seed flapjacks that I am using in the race. In future I would eat sooner, I think had I eaten at around 06:30-07:00 it would have allowed more time to digest the food, although I didn’t have any real problems because of this. 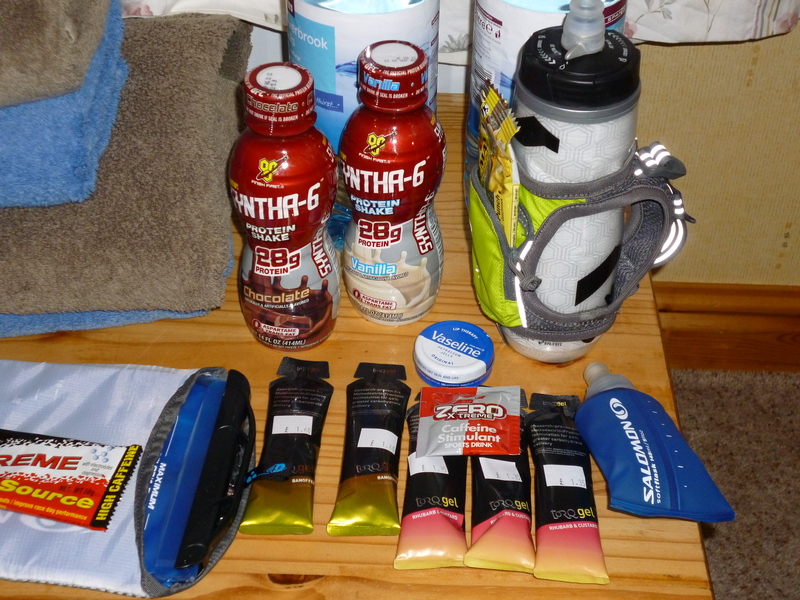 Opting to carry the majority of my nutrition and hydration on me the approach I took with the run nutrition was to have the Torq gels every 45 minutes with the caffeinated gels after the 2 and 4 hour slots, and the water I was constantly sipping throughout. The banana was from one of the aid stations (I think it was around 11 miles) with the isotonic drinks taken at each station that had them (from mile 6 onwards as I recall). I took the High 5 caffeine hit at around mile 20 after picking up a 500ml bottle from one of the final aid stations. Overall I was fairly pleased with how the nutrition went, given that this was the first long distance race opposed to a training run. My strategy was to take a gel and walk while eating/drinking it to allow for my body to digest it as best it can, rather than try and eat and run which can cause problems when trying to digest foods. I believe I managed to avoid a serious bonk, I was shattered but I kept plodding on and I think this was due to having the foods planned out. I did start to get stomach aches after probably the 4the gel and something that I will do in the future, particularly for the NDW50 will be to include some solid food rather than just gels and drinks. I think my stomach was crying out for solid food by the latter part of the race and had I had more time to prepare my Pinole recipe I would have taken this and hopefully avoided the aches, as well as keeping the energy levels up. I should have taken on calories in a solid food rather than a shake, maybe a flapjack or something like that would have done the trick. Next time I will have something tasty for the finish, as until I got solid food in my stomach I was feeling quite sick and a bit out of it. 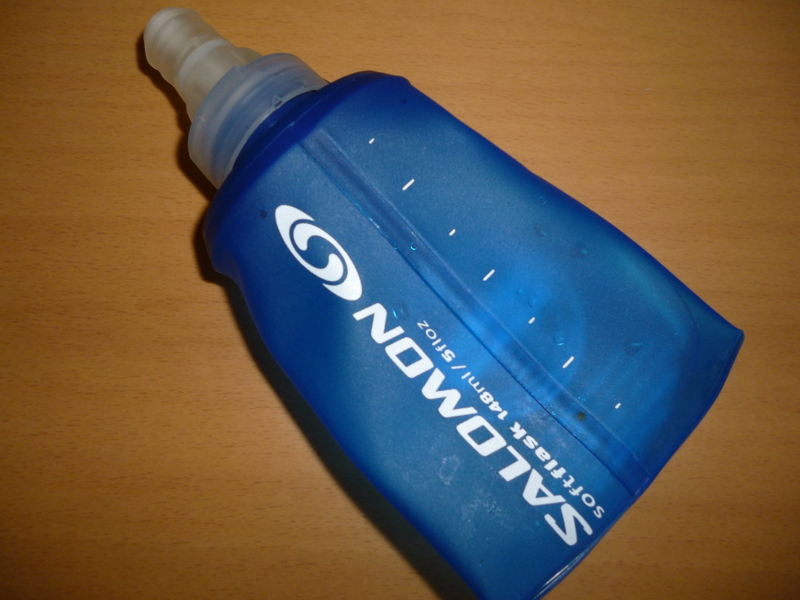 What I did find useful on the run was the Salomon soft flask, which i used to carry the 3 Rubarb and Custard Gels, aswell as some water later on. I have a poor history opening the gels without splitting them and getting it all over me, this avoided that. 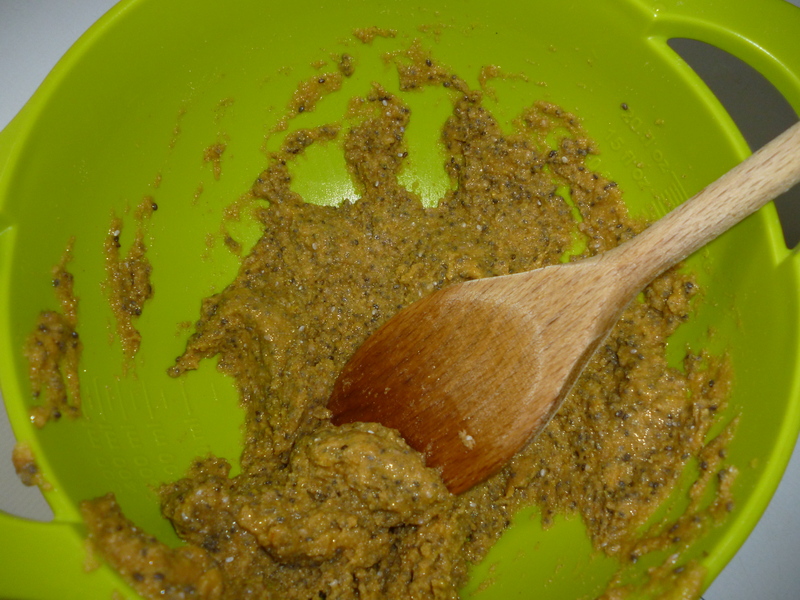 If you have read Born to Run then you may be aware of the use of Chia seeds and Pinole by the Tarahumara tribe, who are the part of the main focus of the book. These people think nothing of getting up and running hundreds of miles of fun, seemingly with no effort at all. The basic ingredients I got from the supermarket, having to substitute cornmeal with maizemeal and I ordered the Chia seeds from Amazon. Now, I have taken some pictures of the process and I have found that I deviated from the quantitys described as I couldn’t quite get the right consistancy with the instructions on the nomeatathlete. 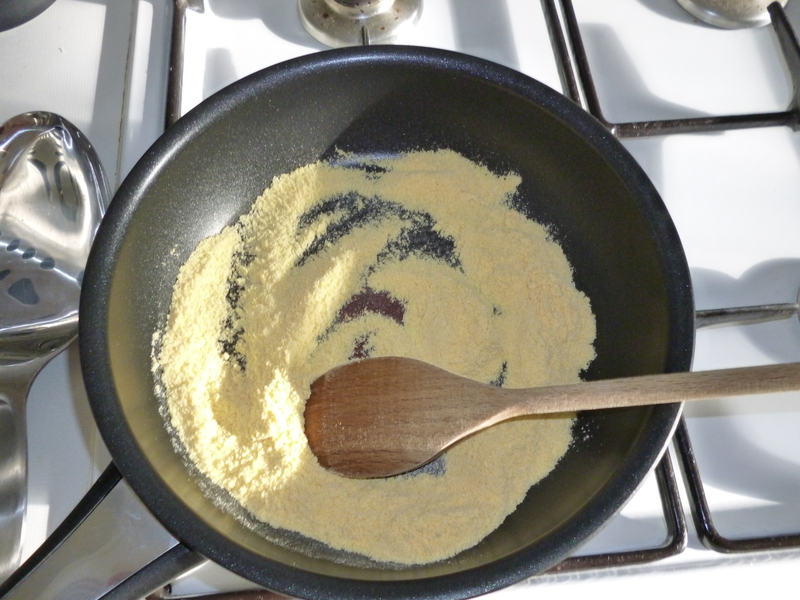 As instructed I measured out 1/2 cup of Maize Meal and cooked for about 5 minutes. 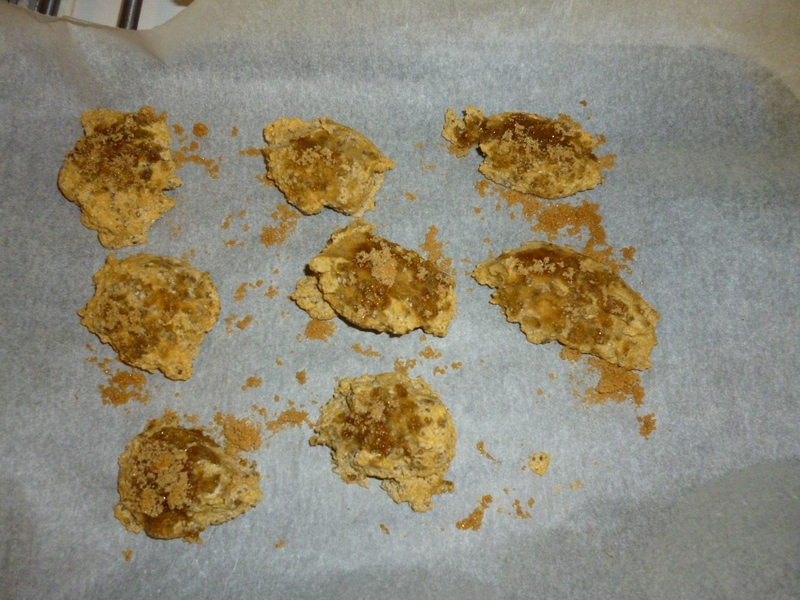 Lastly I divided the mixture up into 9 pieces and cooked in the oven for 5 minutes. 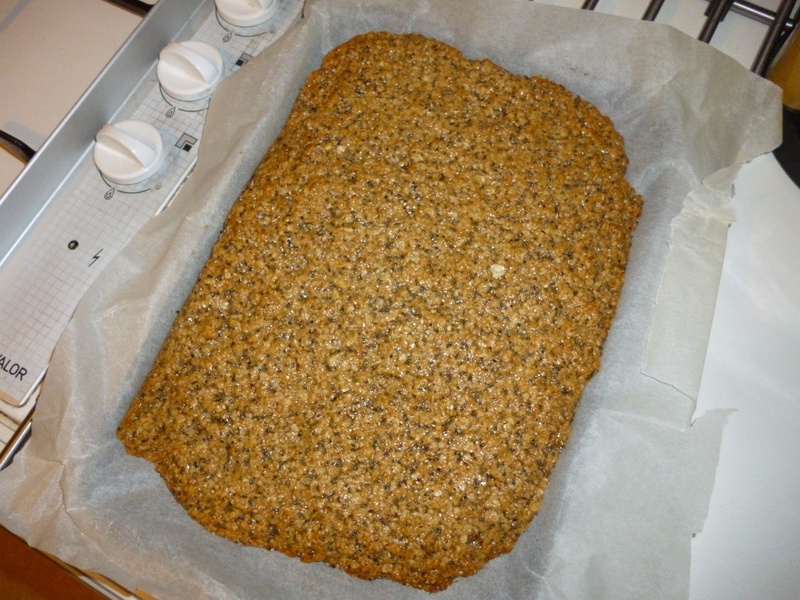 How did it taste, well better than it looks but this batch seemed very dry and I wanted to have a stickier consitancy which would form a more solid bar which would be easier to eat on the run. It was back to the drawing board (and in some way still is) and the second attempt is better, but still not perfect for eating on the go, more of a pre-run snack. Divided into 9 servings this works out at: 47 cal, 8gram Carb, 1 gram fat and 1 gram protein. It still needs work but its a good starting point. I am going to keep updating the ingredient list and will post any changes I make. I also have been working on an Iskiate recepie, also from the nomeatathlete site but with my own tweak which I will post in the future.